Lahore (PR) The CEO of AlHuda CIBE Mr. Zubair Mughal officially launched its Post Graduate Diploma in Islamic Banking and Finance in French Language which is the first of its kind. He said that undoubtedly the best solution of the economic system of the world lies in Islamic Banking and Finance. To promote this we have launched a Distance Learning Program in Islamic Banking and Finance in French language from the platform of AlHuda CIBE. Its purpose is also to relate the French language with Islamic economic system. English stands on number one in the world languages and French is on number three. This step of AlHuda CIBE will not only promote Islamic Banking and Finance on international level but it will also make it easy for the people of west to grab its benefits without difficulties. In other words, this effort is also serving Islam by promoting its teachings and making the banking and finance system of the world strong. AlHuda CIBE has started this after long tireless efforts. According to the world summery report, the number of people French speakers in the world has increased to 220 Million. French is considered as the world’s third most spoken language. As per as a discreet estimate the number of Muslim French speakers is comparatively more in African countries. He said that students from more than 60 countries have so far benefitted from the Distance Learning Programs of AlHuda CIBE amongst when the French speaking countries like Senegal, Ivory Coast, Togo, Tunis, Morocco, Aljazair, Mauritius, Cameron and in other countries Islamic Banking and Finance formatting very fast. There is no facility in French language almost Islamic Banking literature, education and training, Due to which more than 26 French speaking countries facing problem. So, this program will appear as a very of pleasure and a hope. 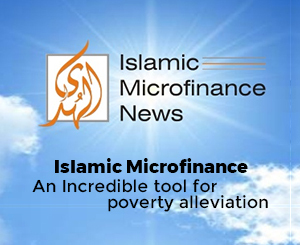 It will surely promote Islamic Financing in French speaking countries. He further said it took almost two years to prepare one year post Graduate Diploma. For which not only Bankers, Financial Shariah experts, legal and accounts export services hired but also French language experts services. AlHuda Center of Islamic Banking and Economics (CIBE) is a well-recognized name in Islamic banking and finance industry for research, advisory and capacity building over the last ten years. The prime goal has always been to remain stick to the commitments and provide state-of-the-art Advisory Consultancy and Education through various well recognized modes viz. Islamic Financial Product Development, Shariah Advisory, Trainings Workshops, and Islamic Microfinance and Takaful Consultancies etc. side by side through our distinguished, generally acceptable and known Publications in Islamic Banking and Finance.